CLS Newsletter Issue 8 New! Participants in the Chicago Study. We want to hear from you. 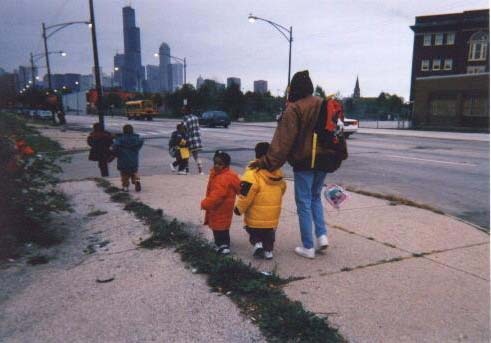 The Chicago Longitudinal Study (CLS) is a federally-funded investigation of the effects of an early and extensive childhood intervention in central-city Chicago called the Child-Parent Center (CPC) Program. The study began in 1986 to investigate the effects of government-funded kindergarten programs for 1,539 children in the Chicago Public Schools. The study is in its 20th year of operation. Besides investigating the short- and long-term effects of early childhood intervention, the study traces the scholastic and social development of participating children and the contributions of family and school practices to children’s behavior. The CPC program provides educational and family support services to children from preschool to third grade. It is funded by Title I and has operated in the Chicago Public Schools since 1967 (see the CPC History Document). To evaluate comprehensively the impact of the CPC program on child and family development. To identify and better understand the pathways (child, family, and school-related) through which the effects of program participation are manifested, and more generally, through which scholastic and behavioral development proceeds. To document and describe children’s patterns of school and social competence over time, including their school achievement, academic progress, and expectations for the future. To determine the effects of family, school, neighborhood, and child-specific factors and practices on social competence broadly defined, especially those can be altered to promote positive development and to prevent problematic outcomes. 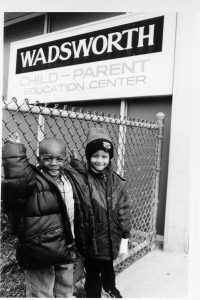 We are now conducting an health exam of those who currently live in Chicago area and attended the Child-Parent Centers in 1985-86 or another Chicago early childhood program. CLS Participants: We are partnering with our colleagues at Northwestern University’s Department of Preventive Medicine for our upcoming health project. You may receive a phone call from them inviting you to schedule an appointment. Dr. Arthur Reynolds, who has directed the CLS since the 1980s, and his team continue to lead the study; however, because they are currently located in Minnesota, Northwestern will help coordinate the in-person appointments for this next phase of the project. If you have any questions or concerns, please feel free to call or email Dr. Reynolds’ team (612-849-7897; 1-866-872-4270; clsstaff@umn.edu). Thank you! Midwest CPC Expansion is a five year project to expand a proven Prek-3rd grade model (Child-Parent Center Program) and evaluate its impacts on children’s well-being. The 2012-2013 preschool cohort includes a partnership of four school districts (Chicago, IL, Evanston, IL, Normal Unit 5, IL, and St. Paul Public School, MN) and eight educational organizations. Additional expansion sites (Madison, WI, and Rochester, MN) opened in Fall 2015. The goals of the Midwest CPC Expansion are to improve children’s school success and increase parent involvement in education and the community, and to develop a sustainability and scale-up plan. Learn more about Child-Parent Centers. Visit cpcp3.org. Lorraine Sullivan, CPC program founder, 1917-2013. Sullivan (1971). Let us not underestimate the children. President Obama cited CLS research in 2013 State of the Union and recent remarks in 2015.